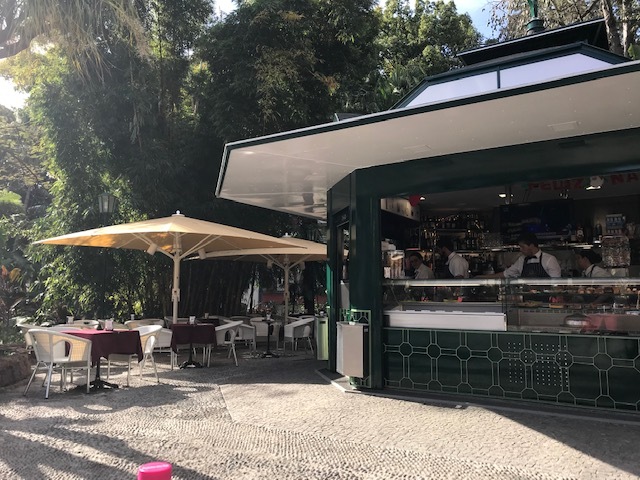 Cafe Concerto to re-open in Municipal Gardens? 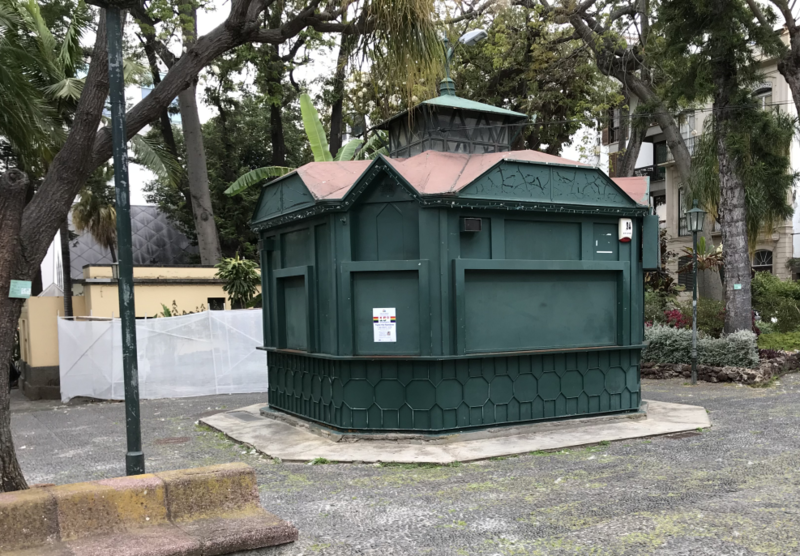 New Cafe in Municipal Gardens? 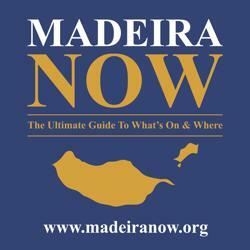 Thanks to Pete for sending in this web-link for a report about MADEIRA AIRPORT. There is a great photo of the airport extension under construction. It’s the big match tonight … the local derby between Marítimo and Nacional. It’s on SportTV1 at 8.15 pm. With both teams level with 25 points, this will could launch one or the other into a European placing, albeit for less than 24 hours. Awareness Raising for Internet Security – Young people were target audience as privileged users of the Internet. As part of the celebration of European Safer Internet Day, Câmara de Lobos Public Library and the Judicial Police held an awareness raising event for the allusive subject. 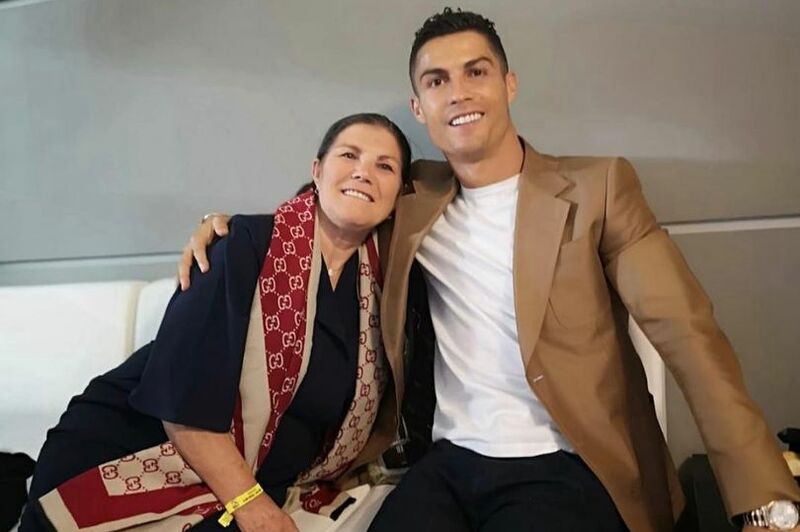 The audience consisted of, above all, young people- standard users of the Internet; however, the event was also open to the public, namely parents, teachers, and educators among others. 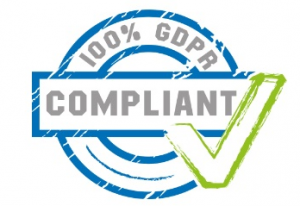 European Safer Internet Day’s objective is to promote the informed, critical, and safe use of the Internet, whether it is by children and young people or by families, workers or citizens in general. There is a proposal that provides a complete renovation in the area of Cristo Rei, more specifically the pool and tennis courts that are there continuing down to the beach at Garajau. The Inter-Marina ANLAGEN company owns the entire area and has developed many of the lots already built in this area. They obtained the necessary authorization from the City of Santa Cruz last Tuesday for 16 building lots and a hotel beside Cristo Rei, however, the company’s proposal was even more ambitious in that it proposed the construction of 21 lots, two for tourism and nineteen for housing. At the meeting the mayor explained the project. We approved the installation of 14 lots on the site where today there are two tennis courts and a swimming pool, two lots on the hillside next to the coffee shop and there is also for the construction of a hotel built in 2 buildings, going down towards the beach at Garajau, which will not degrade the environment. The Mayor went on to point out that it was an investment that would be good fun with sea sports and the enjoyment of nature. The project has now moved on to the architectural side of the project. José Alberto Gonçalves, ensured that the area of implementation is not within the area of nature reserve of Garajau, established in 1986. Where the allotment is, we will be careful to preserve everything that is in the public maritime domain, however a certain number of concessions were agreed to offer greater convenience to the site. Including the recovery of the site of the Chapel of the Mother of God – asked a couple of locals – blank faces – i.e. did not know of one that had existed to be recovered? Sea consumes the coast. Raising the level of sea water, reducing the amount of sediment reaching the coast, anthropogenic degradation (by human activities) of natural structures and coastal works have led to a phenomenon that environmentalists describe as transgressive. These are the main factors for coastal erosion and the retreat of the coastline, in other words the coastline migrates towards the land. Some factors are natural but most are either directly or indirectly caused by human intervention. In September 2003, national and international environmental groups attended a summit in the region and predicted that the transgression phenomenon would occur. The opposite action is called regression, when the coastline migrates towards the ocean. Areas by the mouths of rivers like Ribeira Brava, Ponta do Sol and Machico have a medium-term risk of being engulfed by the sea. This is demonstrated by the destruction of breakwaters and coastal walls. Secular tradition in the parish of Santa Cecilia. In 1910, when the Convent of São Bernardino was abandoned, families living in Câmara de Lobos rescued nine images of saints. Yesterday was Ash Wednesday, the traditional day for the Procissão das Cinzas (Procession of the Ashes) in this parish, marking the beginning of Lent. Despite the heavy rain that fell minutes before the departure, hundreds of parishioners attended this historical event. The Convent was abandoned (like many church buildings) when there was separation of the Church and the State. At the time, câmara-lobenses collected the images of the saints (São Francisco de Assis, Santa Margarida de Cortona, São Roque, Santa Rosa Viterbo, São Benedito, Santo Ivo, Santa Isabel de Portugal, São Salvador and Santo António de Motte), an act that allowed the preservation of this significant collection. After a century, the images are still with the families, passed down several generations, with some restoration in places. One family said, "It’s an honour and a delight to have the saint under the care of the family." The image is stored in an oratory in one of the houses of the family. Twinning of Santa Cruz with Carrizal. This is a way to strengthen ties between the region and emigrants in Venezuela. The twinning arrangement will be formalized by the end of this year. In 2007, the county of Santa Cruz twinned with El Hatillo. The twinning with Carizzal was announced by the mayor who is presently in Venezuela on behalf of the county to attend the first anniversary of the Association of Descendants of Santa Cruz. At Altos Mirandinos, a town in the county of Carrizal, a replica of the Santuário de Nossa Senhora de Fátima is being built, the only one in South America. If authorization from the Ministry of Internal Affairs can be granted in time, the vice-president of Santa Cruz wants the twinning between the two counties to be signed on the 25th June, the Day of the Municipality of Santa Cruz. Twinning has advantages to both parties, culturally and financially in terms of tourism and trade. The immigrants in Venezuela are apprehensive and live in uncertainty with parliamentary elections later this year but have no interest in returning. Thus, they want the document signed before the elections. 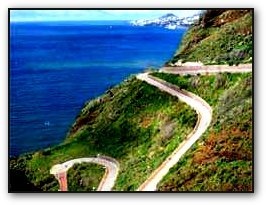 Counties in the Region of Madeira are involved in a total of 36 twinnings. Francisco Sá Carneiro is the third best airport in Europe. This airport in Porto was voted third by the ACI, Airports Council International. João Paulo II Airport in Ponta Delgada (Açores) was also distinguished. The Airport of Madeira registered ninth place. The award was for the greatest rise in indicators of quality of service between 2008 and 2009. ‘Cristo Rei’ with hotel. 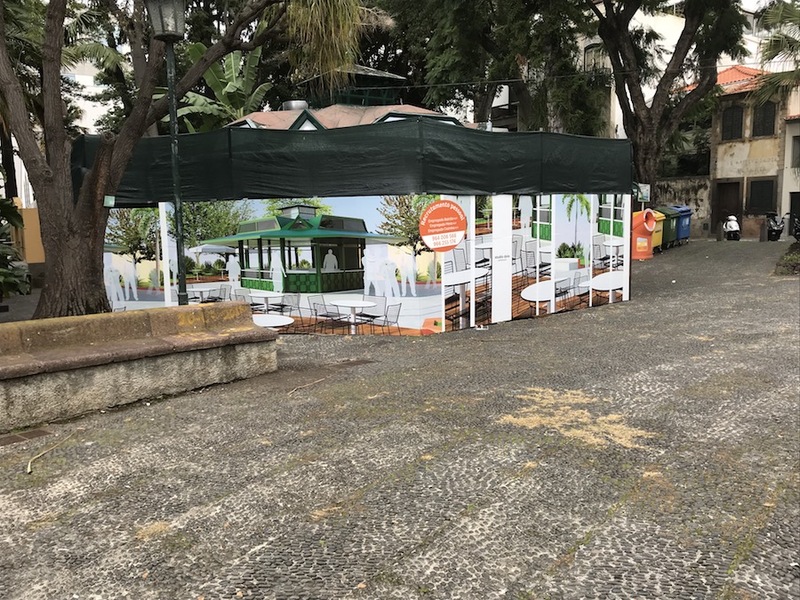 The proposal will completely revolutionize the area of Cristo Rei in Garajau, specifically the areas around the old swimming pool and tennis courts and the road descending to the praia do Garajau. The company that owns the entire area, Inter-Marina ANLAGEN, has authorization from Santa Cruz Council to build on 16 lots and build a hotel near to Cristo Rei. They had originally proposed to develop 21 lots, two for tourism and nineteen for housing but the council reduced the number. This company owns most of the area of Cristo Rei, including where the image of Cristo Rei stands. The plan was originally approved in 2005 with the condition that a geological survey was carried out. Some nonconformities with the PDM led the company to review the plan in terms of the gross area of construction, number of floors and number of parking spaces. The Regional Secretary of Tourism and Transport has approved the plans. The construction work cannot be in the area of the Reserva Natural Parcial do Garajau and will need to preserve everything in the Public Maritime Domain. Santa Cruz Council say this area of urban expansion is of low density. The approval on Tuesday was for 14 lots on the site where the two tennis courts and swimming pool are, two lots next to the cafe, a hotel constructed of 2 buildings in the area by the road descending to the beach (photo). There will be created over a hundred parking spaces, garden areas, a children’s playground and the firm will renovate the Capela da Mãe de Deus. One Azorean is equivalent to 50 Madeirans. The PSD-M have looked at the amount of money in the State Budget for investment in the two autonomous regions. From 2009 to 2010, there will be a 92% reduction in the amount of money for Madeira, from 5.5 million Euros to 427,000 Euros. 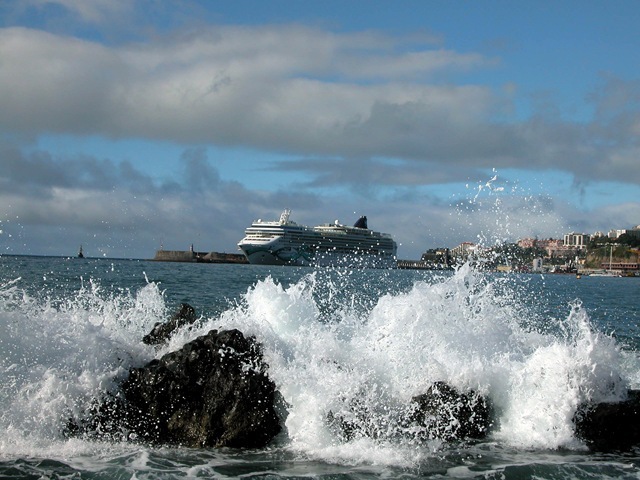 The Azores will have 21.4 million Euros for investments. This is equivalent to 87 Euros for each Azorean and 1.65 Euros for each Madeiran. The Government of the Republic wants to invest more abroad than in Madeira, for example 300,000 Euros for haemodialysis in Cape Verde and 400,000 Euros for the televisions of PALOP. 0.02% of the PIDDAC (State investments) is for this Region which will not resolve the problems at the law courts of Ponta do Sol and Santa Cruz and the police stations at Porto Santo, Santa Cruz and Ponta do Sol. The PSD conclude that the Prime Minister of Portugal does not consider the Madeirans as Portuguese, but also are not considered as foreigners, taking into account that 43 million Euros are for investment outside national territory. Madeira has GDP lower than the European average. The Lisbon region is the only one with a GDP per inhabitant (104.7%) above the EU average (100%). In Madeira, the GDP per capita reaches 96.3% of the EU average. Madeira has the second highest value in the country. The mean for Portugal is 75.6% while the Continental territory has a GDP per capita of 75.3%. Financial assistance to farmers amounts to 21.3 million Euros. This large income support to farmers benefits almost all of the agricultural population in Madeira. The funds are made available by the Regional Government and the EU to support the production of grapes, wine, cane sugar, milk, meat and bananas, among others. It helps the region to be more competitive in the production of flowers and fruit and encourages the export of fresh and processed produce. It is the first time there is aid for the export of cane sugar products which is justified by an increase in production. In the Azores [president] César gives in a year what Jardim spends in two months – In the Azores, the support for all social communication costs €600,000 a year. On Madeira, the Jornal da Madeira newspaper alone takes €4 million. It looks like the Diário newspaper chiefs have got fed up of waiting and nothing happening. Last year they took some bold steps at country and international level to highlight the unfairness of the situation between the two main daily newspapers on Madeira, but it doesn’t seem that anything has changed. 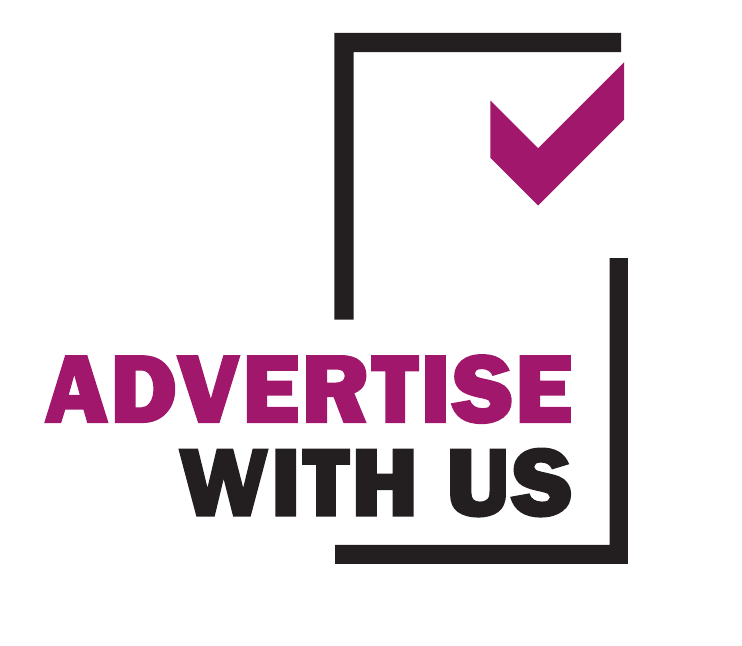 The politically biased, government controlled, and technically bankrupt Jornal da Madeira continues to get €4 million of taxpayers money each year, and an unfair amount of government ‘advertising’ on top of that, and is available free to the public. The Diário gets nothing. The World Press Association even wrote a LETTER to the president of Portugal about it, but nothing seems to have changed. It’s a disgrace! Today’s main news headline : Unpaid debt to the pharmacies paid in five years – The Government promises to pay €80 million in 60 instalments. The National Association of Pharmacies demands guarantees. Today’s main front page photo shows a snowy landscape with a car blocking a road, traffic stopped, and a few well wrapped spectators. Attraction by the snow creates despair – The bad weather is back to wreak havoc and surprise the adventurous. Madeira is deaf to the warnings of the Civil Protection Agency, and some drivers jumped in their cars and sped off in freezing temperatures to see the snowfall in the high zones of Madeira, where tree falls, high winds, and accidents were some of the problems experienced by drivers on the climb to Pico Arieiro and on other routes. 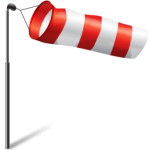 A gust of wind in Caniçal yesterday registered at 150 km / h. The bad weather will continue into the weekend, with heavy rain forecast for Funchal tomorrow, thunderstorm, and high winds, especially in exposed places. If you want weather stories turn on the local TV news for floods, rock fall, landslides … it’s all there. Somebody told me yesterday that a Rodoeste bus was hit by a rockfall, but I don’t think there were any serious consequences. 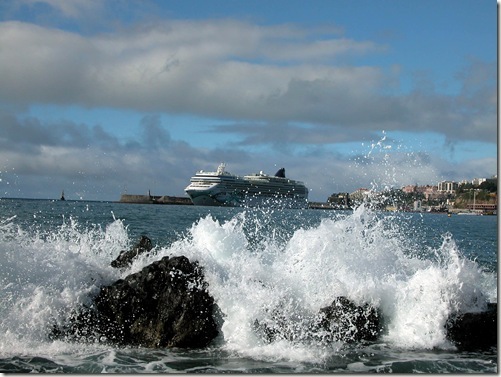 Santa Cruz and Ponta do Sol ask the Regional Government for help for coastal protection. 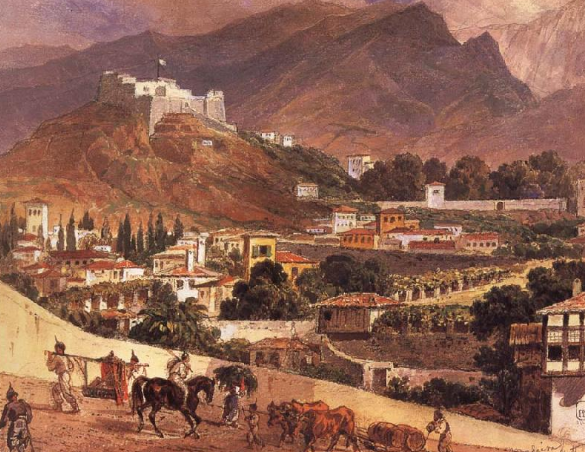 New drawbacks in the Regional Finance Law – The voting on the final draft is delayed. [Prime Minister] Sócrates promises to resist. Passos Coelho seeks support on Madeira. This is the guy who seriously upset President Jardim over his stance on the amendments to the Regional Finance Law. He is a candidate I think for the national leadership of Uncle Bertie’s Social Democrat Party, but UB will do everything he can to finish Coelho’s political career. Porto Santo without air connections for over 24 hours – The SATA ‘shuttle’ suffered a breakdown, but trips will recommence at 10.20 am. The president of Porto Santo Council, Roberto Silva, has asked for a second aircraft to come into service to ensure the service is guaranteed. Not having much luck with the ferry these last few days I notice too, with several crossings being cancelled, but somehow I can’t see SATA taking much notice of Sr. Silva’s somewhat silly plea. In fact he would probably have more success asking his boss Uncle Bertie to build a road and rail bridge, or a tunnel perhaps, between the two islands. The main sport / football headline today : Derby match has the makings of a tie-breaker in Barreiros. The big game tonight between Marítimo, with home advantage, and Nacional. If anyone else can oblige with the translation of any of the ‘blank’ or sparsely filled headlines, or other news stories, here is the link. All contributions much appreciated. Directed by maestro Ferreira Lobo, violinist Emanuel Salvador will play on Saturday. The young Portuguese violinist Emanuel Salvador will play on Saturday February 20 at 21.00 with the Madeira Classical Orchestra, a concert led by José Ferreira Lobo, conductor of the Orquestra do Norte and artistic director of Festival Opera Portimão. Born in 1981, Emanuel Salvador is concertmaster of the Orquestra do Norte. The program consists of the Concerto for Violin and Orchestra in D Major Opus 61, by Beethoven, Symphony No. 8 in B minor, the ‘Unfinished’, by Schubert, and the Hungarian Dances nos. 1, 3 and 5 by Brahms. Tickets are available Monday to Friday between 13.00 and 17.00 hours in the Tourist Office, Avenida Arriaga, and at the venue (the Congress Centre of Madeira Casino) between 19.00 and 21.00 hours. 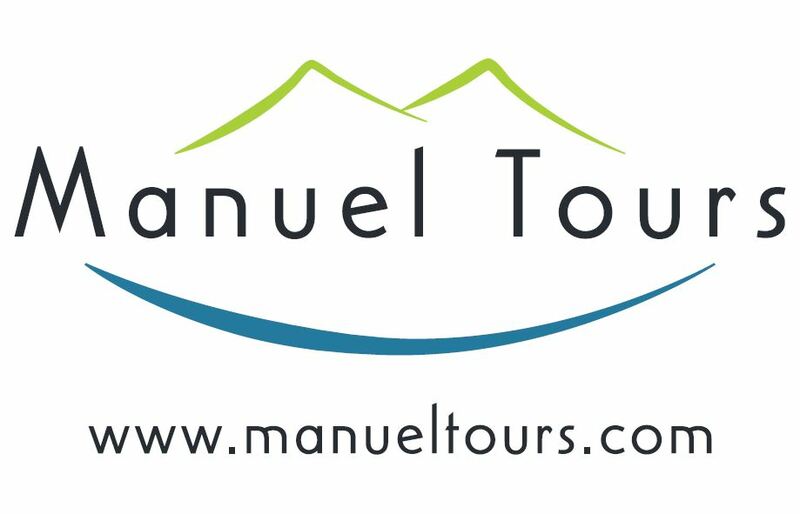 Emanuel Salvador has performed in prestigious concert halls in England (St. Martin-in-the-Fields, Southwark Cathedral) in Kazakhstan (Philharmonic Hall), Mexico, Netherlands, Portugal (Centro Cultural de Belém, Gulbenkian Museum) Germany (Palatin, Wiesloch), Spain (Centre for Performing Arts, Salamanca), Italy and Malta (Manoel Theatre). He has won prizes at national and international competition level: 1st prize in the contest ‘Isolde Menges’ (RCM) and Beckenham Festival, Barbirolli Memorial and Wolfson Foundation Award, 2nd prize at the Young Musicians, Honorable Mention at the Julio Cardona International Competition, among others. He won a scholarship to the Calouste Gulbenkian Foundation from 2000 to 2003, and in 2008 and 2009 to the Instituto Camões. He graduated Bachelor of Music in London at the Guildhall School of Music and Drama and gained a Master’s Degree in Musical Performance from the Royal College of Music. If you can, please contribute something Madeira related. A funny story or good or bad experience, a news item, or a story from a Madeira newspaper, a photo or video, a teaser, news of a bargain flight or item in a supermarket. Please help keep this blog going … without user contributions it won’t survive. Please don’t send in automatic translations (like Google translator) without checking them through and correcting them first, thanks. You can email blog@madeira4u.com with any large contributions and photos / videos. Please use the comments here for general chit-chat, or feel free to ask any questions … someone usually has an answer.